This product includes license to the full suite of GMetrix exam simulation and practice software for Autodesk applications including AutoCAD, Inventor, Revit, Maya, 3DS Max and Fusion 360. You wouldn’t sit your drivers license without practicing first! We strongly recommend using GMetrix software in exam simulation mode as a means of assessing your test readiness and ensuring familiarity with the exam environment before taking the actual test. It’s as close tot he real thing as you can get! 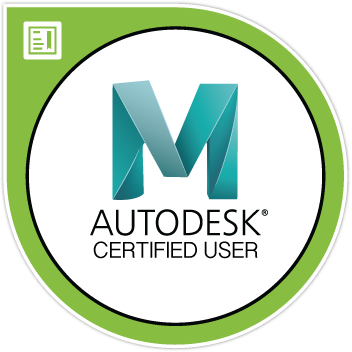 GMetrix online practice tests for Autodesk Certified User (ACU) qualifications are designed to replicate the certification exam experience so test takers can better prepare themselves for test day. The practice tests use the same exam format as the certification exams and are mapped to the certification objectives so a test-taker is assured that he/she is learning and practicing the skills that will help him/her pass the certification exam. GMetrix has two test modes; Testing Mode and Training Mode. This license includes practice test access for a single application certification exam up to 30 times during a one-year period. When the license holder activates this license he/she will be able to choose any GMetrix title for ACU. Once the license holder has chosen a title, the license will then be locked down to allow the license holder access to only the chosen title.